Sun State Refrigeration and Appliance, Inc.
To outsiders, it may sound absurd to talk about Phoenix heating systems. But as residents of the Valley of the Sun know, though winter months may not be harsh by the rest of the country's standards, it still gets cold enough to make a home heating system a necessary element of your dwelling. You don't need to see snow covered lawns to feel the chill of freezing or near-freezing temperatures. Plus, after enduring months of triple digit heat, it doesn't take much to make cold unbearable. Phoenix heating systems are not likely to see the same wear and tear associated with those found in harsher, colder climates. This, unfortunately, also means that many Phoenix heating systems are woefully outdated. Obsolete heating systems might still get the job done, but when compared to modern heating equipment, they are extremely inefficient. 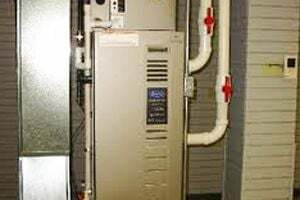 While you might not relish the idea of spending thousands of dollars on a new furnace that only gets used for a few months a year, many Phoenix heating systems that are decades old are actually hemorrhaging money each year through higher energy consumption and more frequent repair needs. Any homeowner in any part of the country who is operating a furnace or other heating unit that is more than 15 years old may find that installing a new heater is not just better for the environment, but better for the wallet, too. How much you spend on a heating system really depends on the desired heating capacity, energy-efficiency standards, and the manufacturer and installation contractor you use. Our data suggests that a new furnace averages about $5,200. You can, however, spend anywhere from $1,000 to $10,000 installing a heating system, and generally, you get what you pay for. Talking to a Phoenix heating system contractor can give you a wealth of information about which systems perform best in your area and the brands and models that tend to hold up the best. There's no shortage of home heating contractors in Phoenix, AZ. HVAC contractors typically work on air conditioning systems during the summer and heating systems during the winter. That said, you may still be able to find a discount by talking to a contractor at the end of the summer, before hundreds of homeowners fire up their heating systems to find them in disrepair, and inundate these companies with service requests. You should turn on your heating system and let it run for an hour weeks before you think you might actually need to use the system. In Phoenix, heating and air conditioning are both going to play a role in how comfortable your home is, but the lack of extremely cold temperatures in the area means that you have an option that homeowners in many other areas do not: Heat pumps. Since they don't produce as much heat as traditional furnaces, heat pumps are not the best choice in places where sub-freezing temperatures are present during a large portion of the year; in milder climates, however, heat pumps can easily provide adequate heating and cooling. Phoenix homeowners who choose this option will be able to heat and cool their homes with a single unit that uses a single set of ductwork. Not only can a heat pump handle both heating and cooling without the need of two separate units, it is likely to do both jobs more efficiently, too! Heat pumps are convenient, but are not always the most appropriate choice, especially for homes that already have separate heating and air conditioning. Phoenix is not the oldest city in the country, and many homes in the area were designed with separate central air and central heat in mind; in such structures, keeping the existing set-up is often the most practical choice. On the other hand, residents that are looking to build new or are retrofitting an old structure that hasn't been set up for either heating or cooling may find that installing a heat pump is not only a more efficient choice, but a less expensive one, as well. In fact, our figures indicate that the average cost of a heat pump is about $4,400, making it less expensive than a furnace right from the start! Comment: I need my train heat pump serviced. Coils need to be taken out and cleaned the right way. Blower needs to be taken apart and cleaned. I have sun rotted wire harnesses that need replaced. I would like a total price for the job. Comment: Air conditioner serviced last year now thermostat won't turn on anything. Wife is diabetic and gets real sick in the heat. Economical prices please we are Senior Citizens. Need Help. Any recommendations will be helpful. Comment: bought new wireless old wireless system will not work, so want new system that works to control heat/cooling, sorry but hopefully today? Phoenix Heating & Furnace Contractors are rated 4.78 out of 5 based on 4,083 reviews of 74 pros. Not Looking for Heating & Furnace Systems Contractors in Phoenix, AZ?